Doctor Michael Forsythe and his wife, Polly, can’t seem to find peace and happiness again. Polly wants a child. But little Clover is everything Polly can’t abide–unattractive, out of control, sly. And who names a baby Clover? She’s the exact opposite of Polly’s beautiful lost daughter. And she’s really badly behaved into the bargain. It’s beyond irritating that Clover gets along fine with Michael, and with Isabelle, Polly’s impossible, eccentric mother. And Polly’s sister Norah dotes on the kid. The only one the child can’t abide is Polly. And the path through that nightmare that only love can provide. I believe strong, realistic emotion is what makes a romance memorable. Certainly, there’s nothing romantic about losing a child. But recovering from such a tragedy holds lessons that all of us can use in our lives. 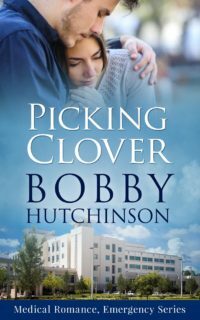 PICKING CLOVER is about love, and loss, and healing—and the quirky and unexpected ways the universe arranges all that.